Trump’s ‘Made in America’ showcase highlights. . . Narragansett Beer? A local brewery was among the products highlighted by President Donald Trump at his “Made in America” showcase at the White House on Monday. 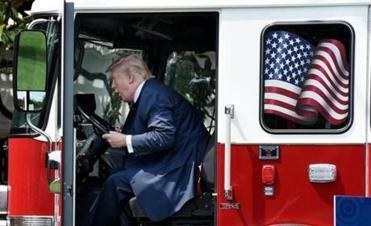 Rhode Island-based Narragansett Beer was featured among the items, which ranged from door hinges, to a firetruck, to fried chicken from Chick-fil-A, according to a pool report. 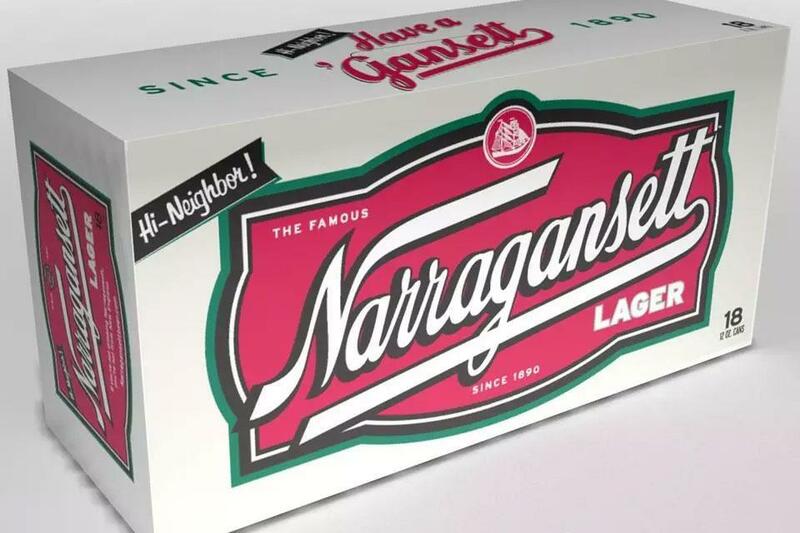 Gansett’s president, Mark Hellendrung, told the Globe on Monday that the White House reached out to the company last week to participate in the event. Hellendrung said he’s aware that many of his customers may not necessarily be fans of Trump, but said he decided to participate because he has a strong belief in American-made products and independent businesses. The showcase, which featured products from all 50 states, was meant to put a national spotlight on American-made goods, even as the Trump administration remains distracted by the Russia scandal and accusations of hypocrisy. Representing Massachusetts was St. Pierre Manufacturing, which makes horseshoes for the game of the same title. 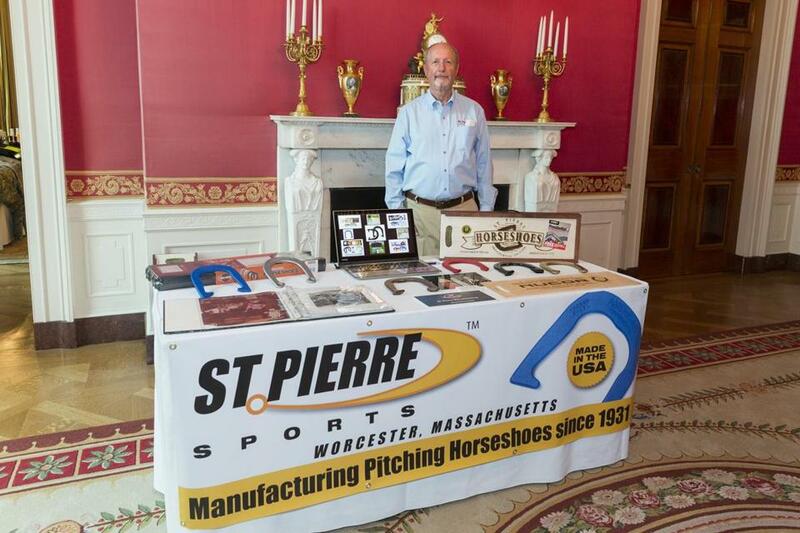 St. Pierre Manufacturing of Worcester, Mass., was at the White House event. When the president asked how business was going, a company representative told him that “It’s good,” and explained how the Internet was changing the retail market. When Trump asked which horseshoe was most expensive, the representative handed him one called “The Eagle.” When Trump asked why it was the priciest, the representative explained that it has bigger tips and more weight. “So this would be ultimately more accurate?” Trump said. The company rep then added they had brought Trump a gift of presidential horseshoes. However, Trump has faced criticism that his family’s many product lines are manufactured overseas, including merchandise sold under his own name and his eldest daughter’s, such as clothing items and shoes. Asked whether the president would use his ‘‘Made in America’’ week to commit the Trump organization and his daughter’s brand to make more of their products in America, rather than overseas, spokeswoman Helen Aguirre Ferre was non-committal. ‘‘We’ll get back to you on that,’’ she said. 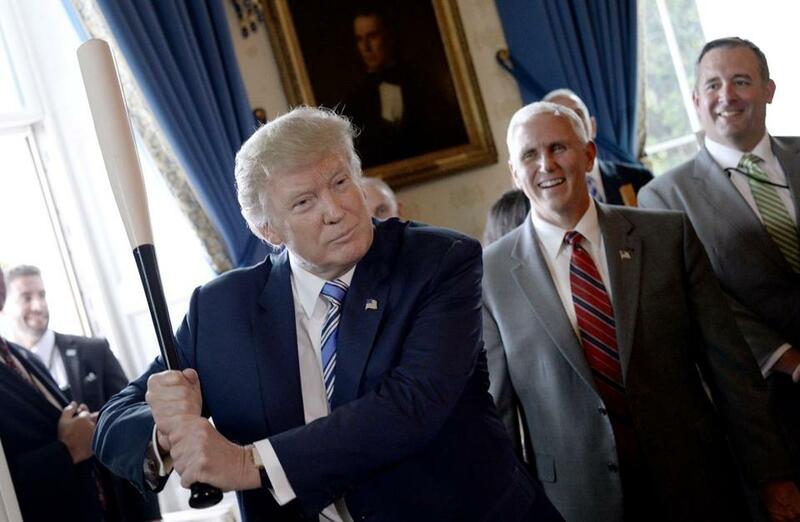 President Donald Trump swung a Marucci baseball bat in the Blue Room during a "Made in America" product showcase. Material from the Associated Press and White House pool report was used in this report.